The University of New Brunswick’s J. Herbert Smith Centre for Technology Management and Entrepreneurship (TME) is pleased to announce Scale Up Atlantic Canada’s first official cohort. 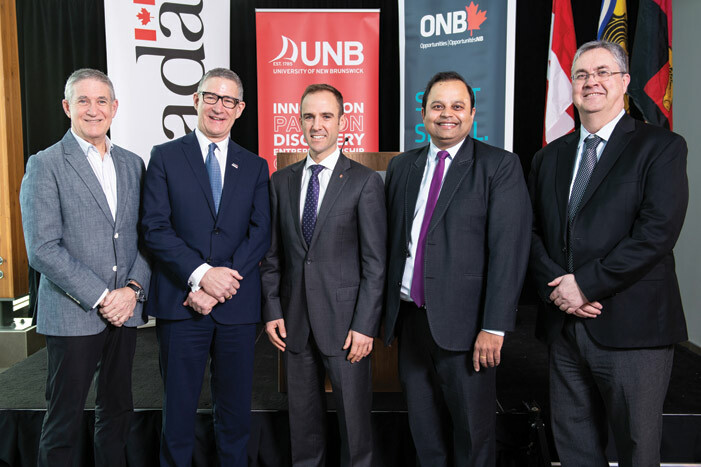 By investing in Scale Up Atlantic Canada, UNB, Atlantic Canada Opportunities Agency(ACOA) and Opportunities New Brunswick (ONB) are building on federal and provincial commitments to drive economic growth in the Atlantic region. Scaling up will help companies grow and succeed that will move the economy forward by creating jobs and strengthening communities. ACOA has invested $350,000 in the program. Scale Up Atlantic Canada will be hosted at UNB and led by Dr. Daniel Isenberg and his team of professionals from Babson College in Wellesley, Mass. The program will mix peer-to-peer support with classroom-based learning opportunities and include workshops in sales and marketing, finance and organizational development. Monthly workshops begin March 21 and will run until September 2019. "The knowledge and skills the companies will gain through Scale Up Atlantic will increase their growth potential and help energize the private sector. Our government is committed to creating the right environment for New Brunswick businesses to succeed."